So my friend Diane, her hubby, and her maddah stay taking dis road trip, and wen stop in Salt Lake City. 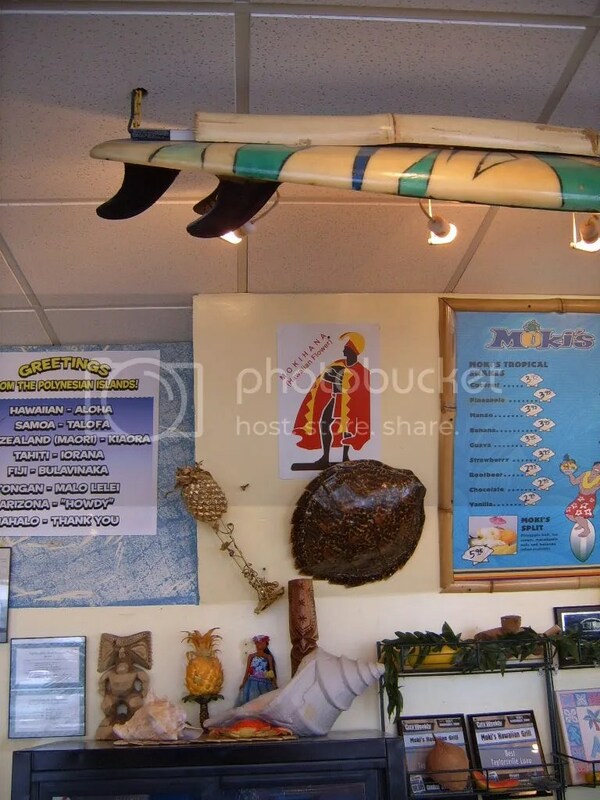 She excitedly wen email about dis fantastic Hawaiian café dey wen find… yep! Right dea in SLC! I just had to tell you about Moki’s. The food was all cooked there from scratch, even made a rice sauce that was like a light soy vinegar, yum. They have a special company in AZ make their ice cream – can’t find one in UT that meets their standards. We had a mixed bowl of banana, mango and pineapple. MMMMMMMMMMMM they were so good but we shared the bowl among the 3 of us. They had pieces of real fruit in each kind.I had the meal with the teriyaki chicken and the kalua pork with this yummy chicken, cabbage, vegetable salad. Wendel got the teriyaki chicken and Mom got the kalua pork. Mom got their macaroni salad which looked good. They even flavored the drinking water with like a ginger and maybe orange. And the music and decorations had me in Hawaii for an hour or so. We lingered because it was so soothing on the nerves with the music, flavors and atmosphere. Wendel even grabbed me for a dance with a dip at the end. 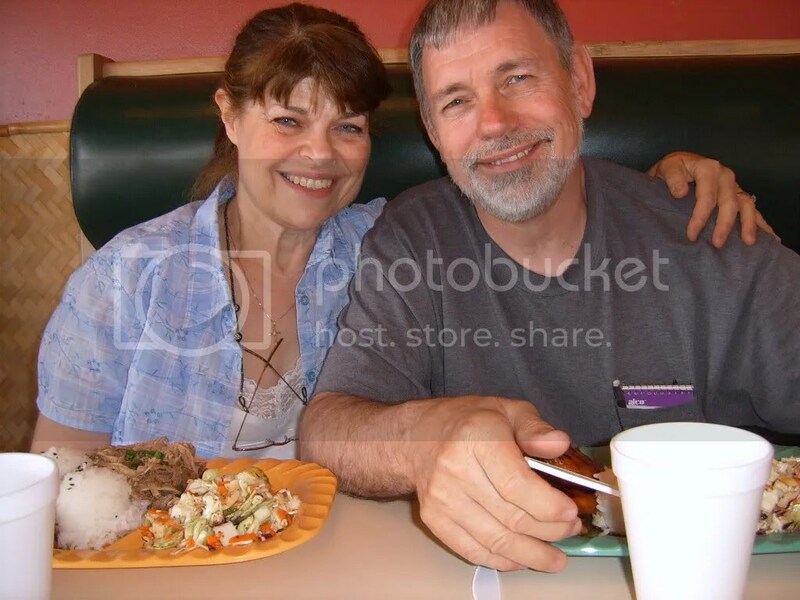 Our 33rd anniversary was the next day. We were going to come back for the live band and a meal then but heard that they had to cut back the band because of the economy. We will definitely go back before we leave the area though. 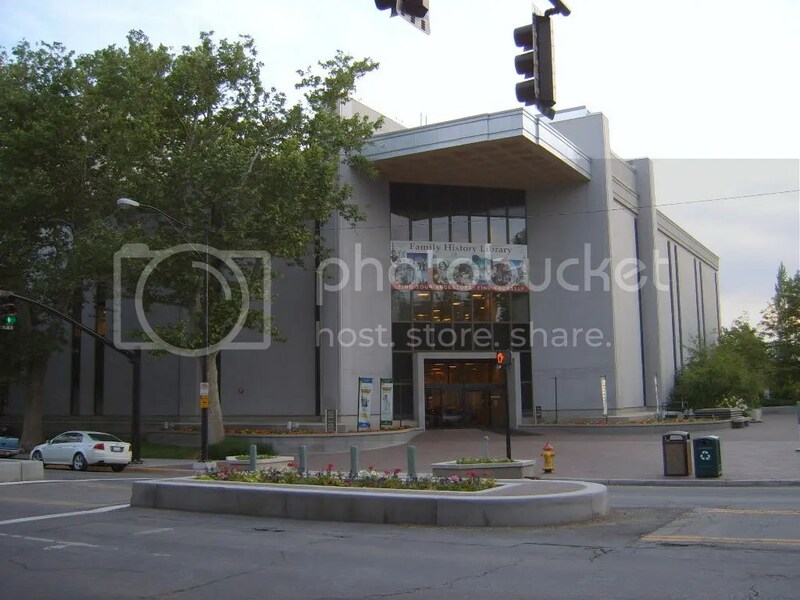 Diane also wen send me some photos of da place. “Howzit!” in all kine languages even! 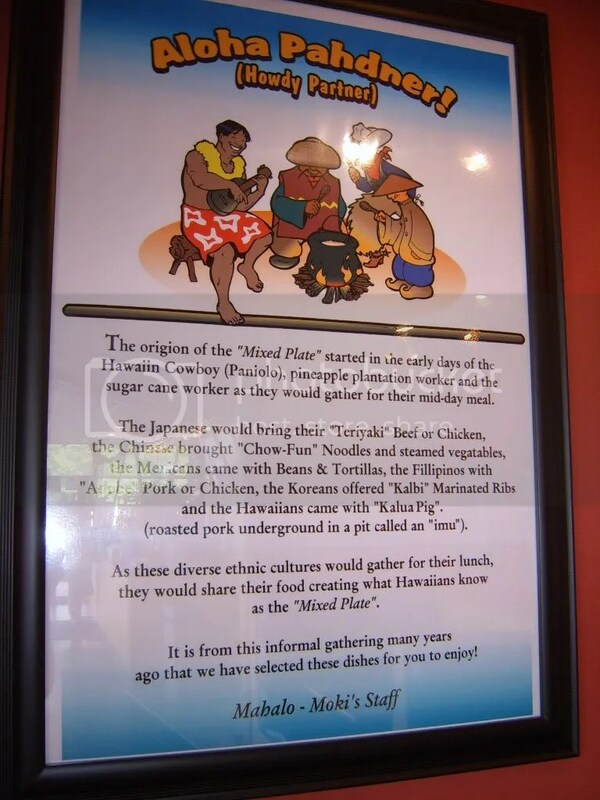 Da history of mix plate! Diane and Wendel and da grindz. Get local kine music, too! 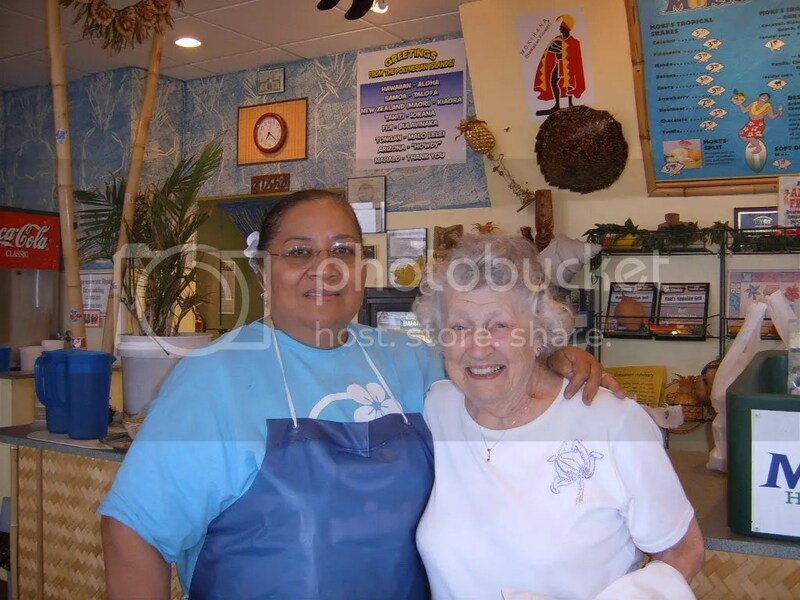 And I love dis photo of Diane’s mom and da owner of Moki’s. Alla decorations around da place… wow, shua feels like home. I wen check out alla catering info, and had photos of all kine grindz, including da roast pig! U gotta check out da website… I stay drooling all ova my keyboard! Gotta try get one t-shirt! And if u evah stay near SLC, oa Mesa, AZ, go checkum out! 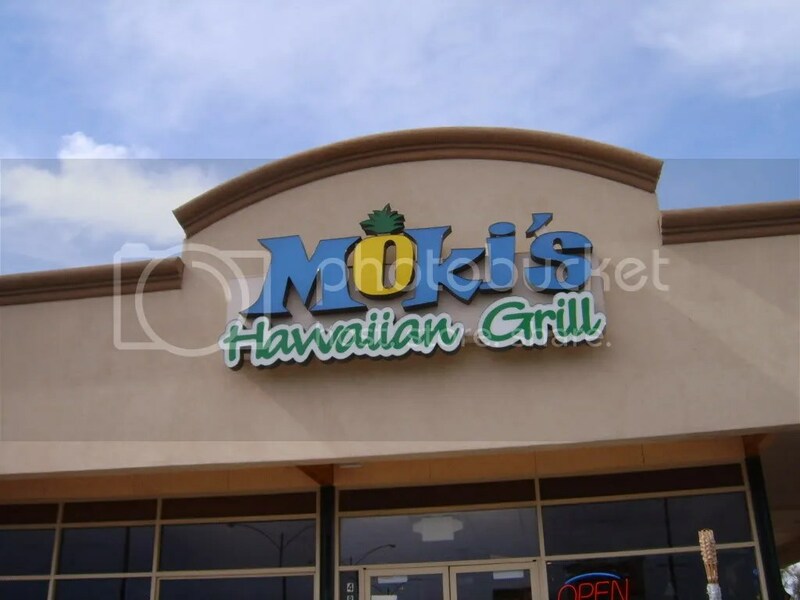 5 Responses to Moki’s Hawaiian Grill! very reasonable prices to boot. Yeah, anyplace named “Moki’s” has GOT to be good! 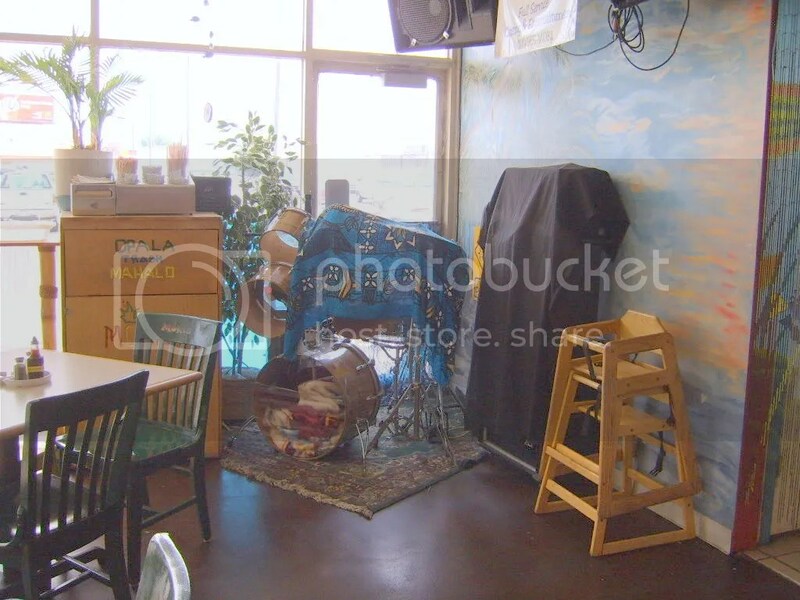 Seriously, you can tell just by the decor that whoever runs the place has a lot of da ‘aina in their hearts. So is dis yowah Cuz mebbe? Mahalo fo’ sharin’ dis. Now i hungry. Yum yum yum! I’ve never tasted Hawaiian food but it sounds great! Now I hungry too!!!!! 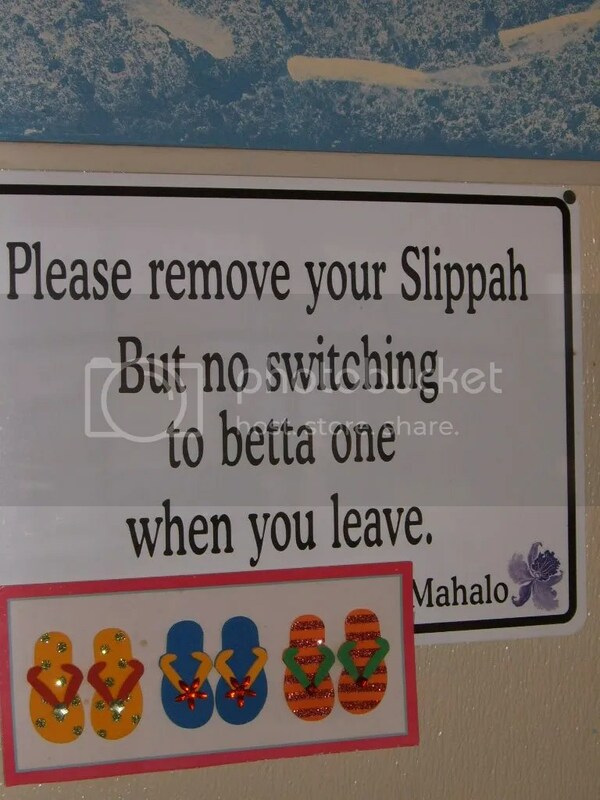 I love the sign about the Slippas!! Made me laugh! Thanks for sharing.